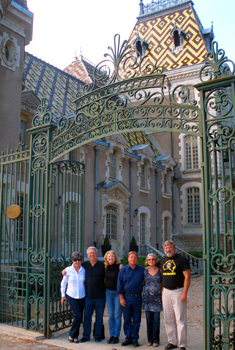 Customized independent travel itineraries in France and beyond. Journeys via Concierge offers a unique opportunity to travel in your own style at your own pace, without time consuming and complicated pre-trip research and planning. We make all the arrangements for hotels, cars, restaurants, local guides and much more. You’ll receive a personalized, self-guided itinerary that focus on what appeals to you most, be it wine, cuisine, biking, hiking, art, gardens, museums, chateaux, historical sites, antique markets, or a little bit of everything. Leave confining schedules, large group dynamics and high tour costs behind with a Journey via Concierge! • Using your answers to our easy client survey we identify the area of France you wish to explore, the main interests of your trip, the style in which you prefer traveling, and the activities that most appeal to you. • For one low price we do all the research, planning, and reservations to create your unique travel experience. You save precious time. •We equip you with a personalized packet including your itinerary, confirmed reservations, insiders’ tips and information, knowledgeable recommendations, and directions where needed. You pay hotels, car, rental, restaurants and local activities as you go. Pricing: Independent itineraries start at $100/day for 2 people. Please note that pricing will vary according to complexity of itinerary and number of people traveling. For those who desire an added level of service, ease and local expertise, Journeys offers the same excellent custom tours, with the added luxury and support of a guide. This local expert will be your driver, translator and facilitator for the week. For cycling and hiking trips, your guide will handle luggage transfers, provide road/trail support and take care of your bikes as well. The added value is inestimable – from the moment you arrive at the train station, throughout a seamless week of full support and relaxation. Tour de Charme: 1500 euros per person per week for group of 6. Tour de Luxe: 2000 euros per person per week for group of 6. Pease note that pricing will vary according to region, lodging, and dining choices, complexity of itinerary and number of people traveling.